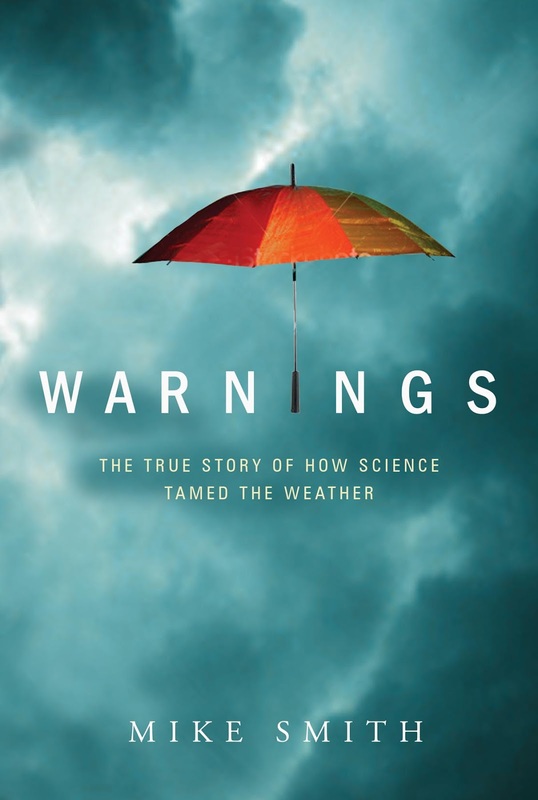 Want to read a gripping (written in the form of a novel) story that takes you behind-the-scenes as meteorologists warn of hurricanes and tornadoes and keep airliners from crashing? And, takes you into courtroom during the one of the most important trials -- ever -- involving weather and what was once the #1 cause of airliner crashes unfolds? All of that, and more, is the topic of Warnings: The True Story of How Science Tamed the Weather. The link will take you to the Kindle version of the book. The Nook version is here. written in the form of a novel and completely non-technical. As you will learn when you click the green link (above), the book is officially out of print. Amazon is offering only used copies of the hardcover version. However, I have a couple of unopened cartons of book that I purchased from Greenleaf Book Group (the publisher) for a special sale that fell through. So, I have worked with Wichita's renowned Watermark Books to put those brand-new copies on sale. I've autographed each copy turquoise ink to match the cover art. You can purchase them for $24.95. If you live out of the area, they will ship anywhere in the United States for $2.99. Given that one-in-four homes in the Florida Keys was destroyed by Irma (a fact not well covered by the media) and that the storm did $100 billion in damage, weather science clearly saved thousands of lives as compared to if the hurricane had struck without warning. The story of the people behind this scientific triumph is uplifting and fun. I hope you'll purchase a copy.